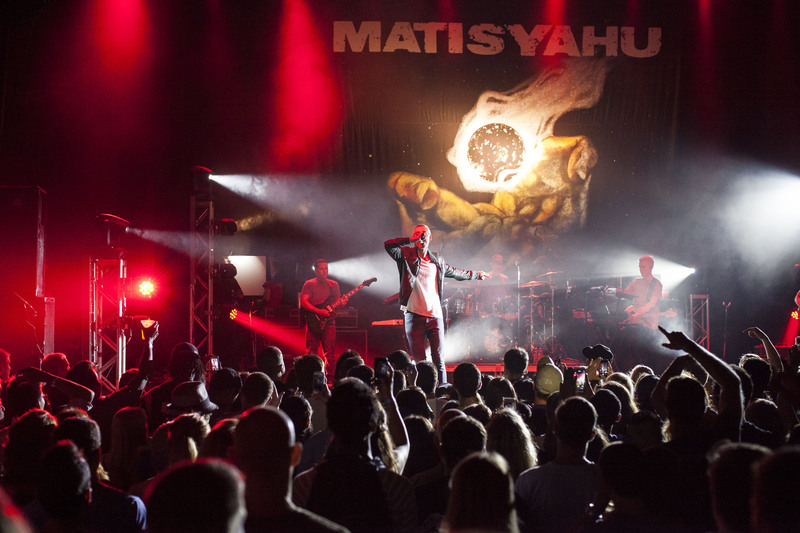 Matisyahu kicked off the Built to Survive Tour this past Tuesday with a dynamic performance at The National in Richmond, Virginia. Supporting act Radical Something started the evening with their unique blend of reggae, rock, and hip hop-The California based trio played a variety of songs from their last two albums, We Are Nothing, and Ride It Out, as well as off of their No Sweat EP. 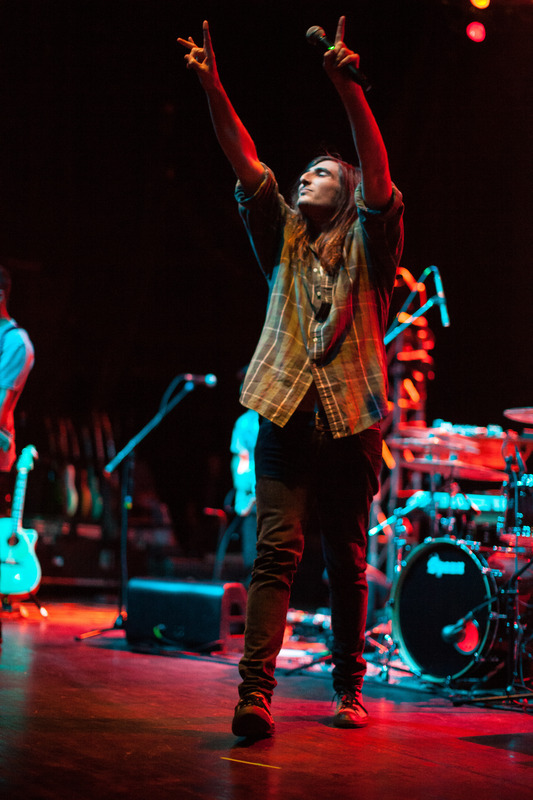 Founding member Alex Lagemann alternated between layering rhythm guitar on top of Mike Costanzo’s bass and keyboard lines, and trading off on lead vocals with Josh Hallbauer. Both musicians punctuated the set with personable introductions to songs like “Cheap Drink” and “Freedom.” Their set seamlessly transitioned from catchy, syncopated reggae into energetic hip hop and even included some drum and bass style break beats on their latest single, “Cali Get Down.” Their forthcoming album can be pre-ordered now via pledgemusic.com. Following Radical Something’s performance, the man whose name spanned the massive banner hanging from the ceiling took the stage. Those who have no kept up to date with Matthew Paul Miller, or Matisyahu as he is more commonly known, may have had a difficult time recognizing the thin, beardless man but any doubt as to his identity was immediately resolved when the music started. 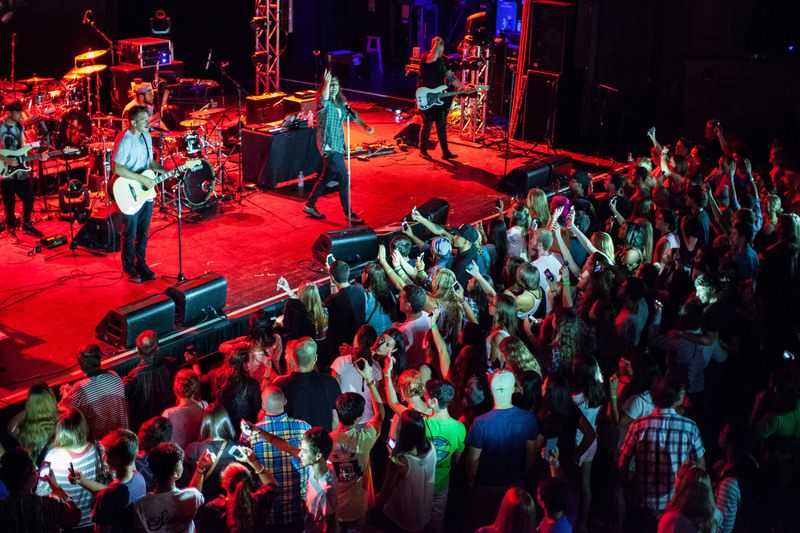 For the next two hours, Matisyahu and his supporting band, the Dub Trio, took the crowd through an atmospheric and powerful journey of electronically infused reggae. 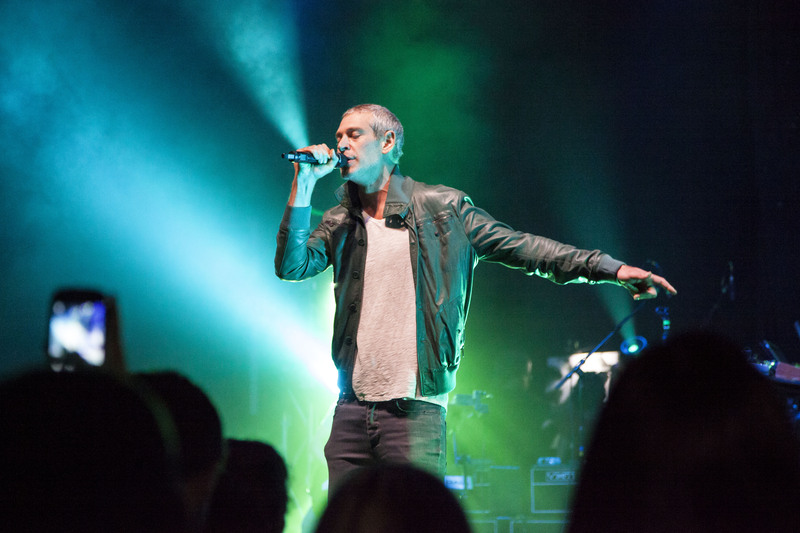 On top of the underlying synthesized bass lines and triggered drum samples, Matisyahu frequently demonstrated his impressive beatboxing skills over improvised jam sections. The album art for Akeda, Matisyahu’s most recent studio album which means “binding” in Hebrew, was blown up to gigantic proportions and provided a backdrop for the performance, which included several tracks from the release. During some sections of the set when the green and blue stage lights were brought down low and a single spotlight shone on Matisyahu the art, a man holding a smoldering world in his hands, almost seemed to move with the music. Matisyahu concluded the night with an extended performance of “One Day,” holding the microphone out to the crowd during the chorus as they sang along in unison. For those that missed the 9/16 show, the Build to Survive tour will be returning to Virginia on 9/20 at The NorVa in Norfolk. Tickets for that show are available here.